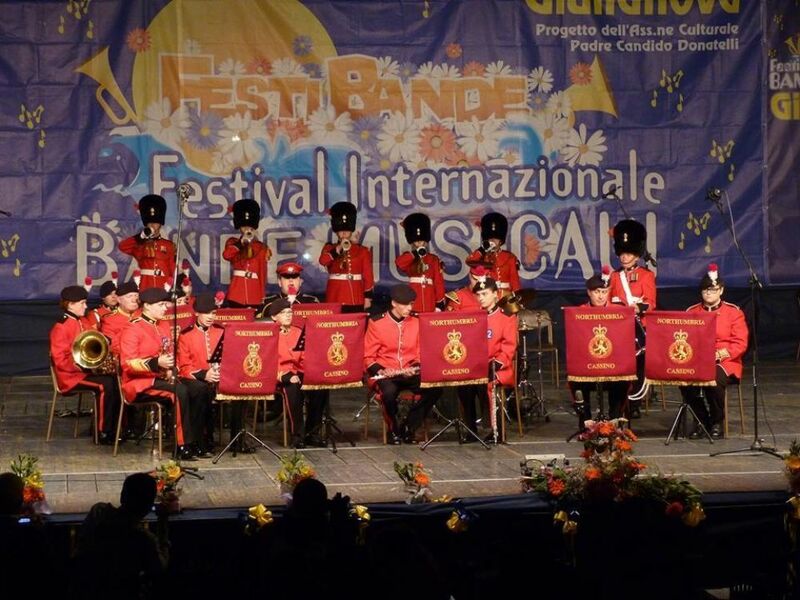 Northumbria ACF's Cassino Band were invited to participate in an international youth music festival in Guilliano, Italy. This prestigious occasion was for many members of the band the first time they had played at a major event. However any pre-performance nerves disappeared once their performances began. The band performed both stage and marching routines thrilling the crowds who had turned up to watch the festival. However it was not all work, the cadets had time to enjoy the sea, sunshine and the Italian way of life. In addition to playing at the festival in Guilliano, the band took the opportunity to play at the Cassino Monastery after which they are named, as well as at Anzio. On the journey back to the UK the band are visiting the famous Menim Gate in Ypres where they will play their final engagement. The band recruits both adults and cadets who wish to learn to play a musical instrument to a high standard. Anyone interested in finding out more should visit the band at Kingston Park TA Centre (details below) between 7 - 9 pm on Wednesday evenings.